Mark, who designed the logo we're currently using in some places, provided us with six new proposals, which are going to appear in the next couple of posts on this blog. 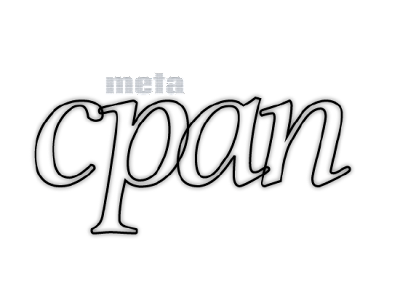 This is Audrey's second entry, "The meta->CPAN protocol", also placed under public domain via CC0 Universal with the original SVG files available here and here. I had the idea before the "Optimized for Laziness" one, but just got around to finish the vectorizing today. 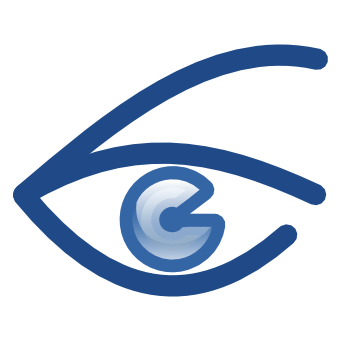 Barry sends us a second iteration of his Eye of CPAN idea, based on the comments he received on the first one. 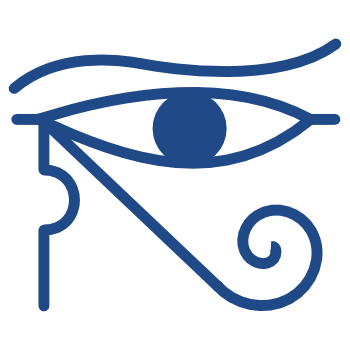 One of the commenters on my last submission (Eye of CPAN) wished it looked more like the Eye of Horus, so here is my take on how that would look. My friend's a programmer and is in love with Perl, I'm a musician (classical guitar player) but I love all things related to web technology, design or programming. I use Perl just for simple scripts at work so I'm not a "guru", but this contest is an oportunity for me to make something valuable for the Perl community. a simple, clean and powerful logo that once used and abused will be a memorable one. This is the first version, that probably will be retouched. 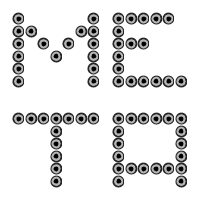 Mark just sent in the original MetaCPAN logo. He and Olaf Alders came up with it back in the day when they needed a logo when first starting up MetaCPAN. Apparently Olaf likes greek letters. We're still using it for our Twitter account. Lin Yo-An had an idea for a logo the other day and promptly implemented it. However, he did so in a bitmapped format and can't provide a scalable version of it. Unfortunately, that means his entry is not eligible for our contest according to its rules, but nevertheless c9s decided to share it with us, hoping it might inspire someone else. In addition to the images above, the original .psd file is also available to anyone interested. I thinks the logo should be clean, memorable and actually tell something about the project. 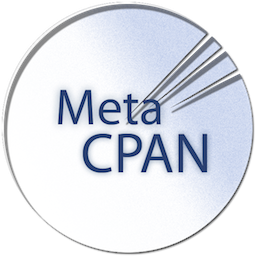 MetaCPAN is CPAN and beyond. That's the meaning of meta. I thought I should submit my version of a logo for your site. Being a Greek geek (how cool is that! ;-), I was inspired by the Greek origin of the word "meta" (=after). Its Latin equivalent is, of course, "post", which was regularly abbreviated in medieval manuscripts as p̅ (that's overline combined with p, if your Unicode support is not up to the task of displaying that) and is even to this day used in this manner in medical prescriptions. 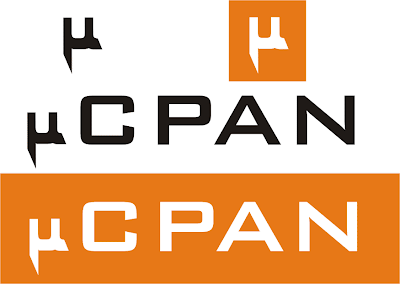 The close proximity of the letters comprising the word "cpan" denotes metacpan's role as a website that brings perl users together, encouraging cooperation. What's more a dash on top of letter "p" emphasizes the perlish nature of the site. 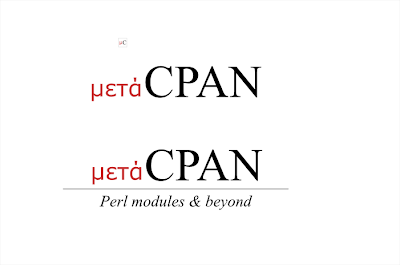 CP̅AN is a free, open search engine for the CPAN, which is an ever growing archive of code and documentation for the Perl programming language. CP̅AN is a community effort. 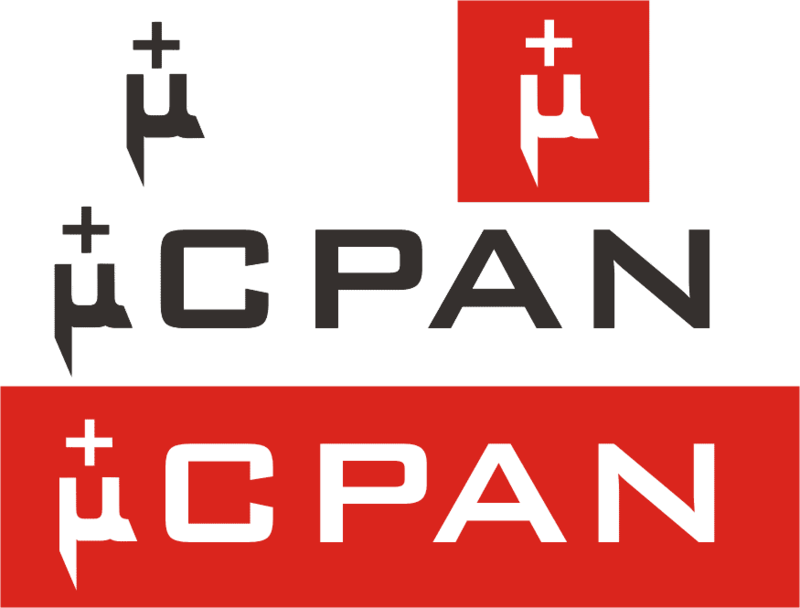 On the surface, CP̅AN enables the CPAN to be searched more easily. However, because CP̅AN is driven by a free, open API, it encourages the incorporation of this data into many other projects. Here's Dmitry's second entry, an evolution of his previous "mu" idea. 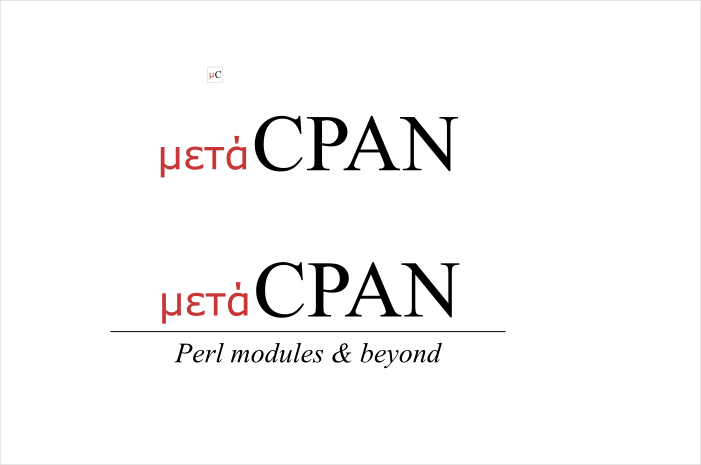 While working on the mu letter (I couldn't find any greek fonts that I like), and aligning the line angles there, I got an idea that sharp knife-like angles could allude to the well-known idiom that perl/cpan is a "swiss army knife", and from that idea comes the second design, "muplus". We've just received the first submission to our logo contest. In fact, Dmitry, who says he's not a designer or anything but thought it could be interesting to try what he can do, sent us two sets of logos. The first one, entitled mu, follows. The second one, muplus, will appear in the next post. The first, base version is essentially a greek letter "mu" because the word "meta" comes from the greek language, and also, because I thought that line "μCPAN" looks cool by itself. However, the contest conditions hint that the logo should fit on 16x16, so I've compressed the line down to a single "μ". OTOH, if you do like the idea, I'm also providing a version that contains an example of both short and full designs; both in black/white and color versions. 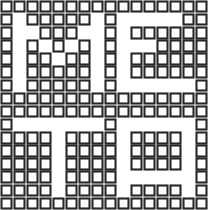 The MetaCPAN Logo Contest is on! MetaCPAN, a free and open search engine for the CPAN, is looking for a new logo to use in all MetaCPAN-related sites and programs. 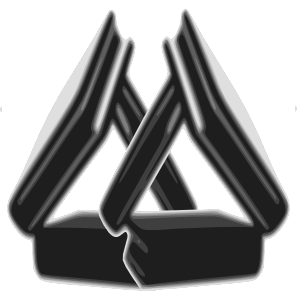 The first prize will be US $400, generously provided by the Enlightened Perl Organisation! Create a logo in a scalable format. Make sure it still looks delicious as a 16px by 16px icon. Submit the logo to contest@metacpan.org before January 13, 2012. We will put your logos on our blog and let everyone comment on it. You can re-submit the logo after you have received feedback from the blog. Re-submission is allowed as many times as you like. After the 13th of January 2012 we will not accept any more submissions. Shortly after the deadline, everyone who has contributed to MetaCPAN can rank the logos and the logo with most points will be selected. The winner will receive his/her prize and his/her name will be immortalised on the Thank You page of MetaCPAN! The logo will be printed / used and abused everywhere! 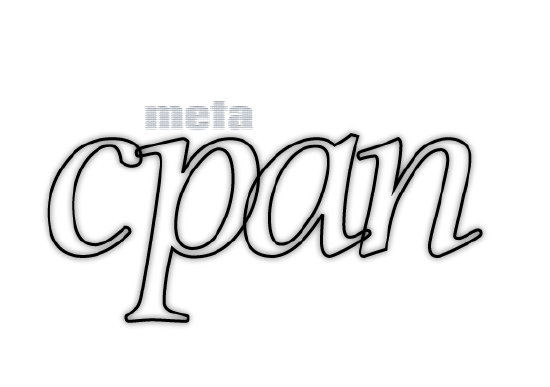 MetaCPAN is a free, open search engine for the CPAN, which is an ever growing archive of code and documentation for the Perl programming language. MetaCPAN is a community effort. On the surface, MetaCPAN enables the CPAN to be searched more easily. However, because MetaCPAN is driven by a free, open API, it encourages the incorporation of this data into many other projects. 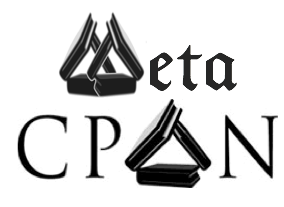 Essentially, there are two parts to MetaCPAN. You can use and abuse the info you get from the API in any way you like. If you don't like the search engine, you can even use the API to build your own CPAN search. 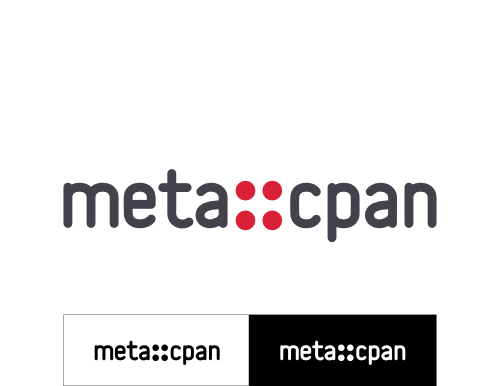 So, while the search site is the public face of MetaCPAN, its true value lies in an API which provides Perl hackers everywhere with the power to build their own complex search queries for extracting data from and about the CPAN. Logo must be in the scalable SVG format. A proof-of-concept 16x16 version of the logo must be also sent in PNG format. Name the logo your_email-logoname-date.svg and your_email-logoname-date.png (i.e: rafl_debian_org-coolstuff-110923.svg). Feel free to also include more variants of your logo, but the aforementioned two are required for the submission to be accepted. All files of your submission must be contained in a .zip or .tar.gz file that's named just like image files it contains, except with a different file extension. Logo must be submitted before January 13, 2012. You may submit as many logos as you wish. A license will be granted to the MetaCPAN team to use it in any way they see fit. We won't make any claims on non-winning entries. Potential taxes on the prize will be paid by the winner. The result of the contest can not be overruled or questioned. Olaf Alders, Clinton Gormley, and Moritz Onken will have veto.